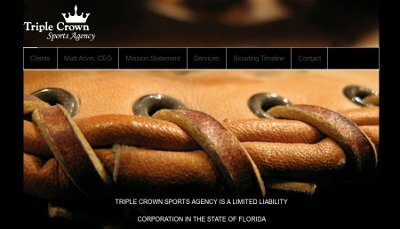 Matt with Triple Crown Sports Agency contacted us yesterday morning inquiring about website assistance. Matt already took care of getting his domain name, website hosting, and even created his own WordPress website. However, Matt was unsure how to modify some of the theme design and reached out to us for this help. BsnTech Networks quickly provided the services that Matt requested after his payment was received. Within five hours of obtaining payment and the username and password information, we were able to take care of getting the design of his site to his specifications. We would like to thank Matt at Triple Crown Sports Agency for entrusting BsnTech Networks for their website assistance request!